The secretariat of the European Parliament is the administrative body of the European Parliament headed by a Secretary-General. It is based in the Kirchberg district of Luxembourg City and around the Brussels-Luxembourg Station in Brussels and employs 4000 officials. The Secretary General of the European Parliament is appointed by the Bureau of the Parliament. The post is responsible for administration and assisting the President, MEPs and the Parliaments bodies. He also deals with the day-to-day running of business and prepares basic reports for budget estimates. The Secretary General also has to sign, together with the President, all acts adopted by the Parliament and Council. The Parliament's legal services advises members and bodies on matters of European law, helping in drafting of legislation and representing the Parliament in Courts. The Directorate-General for the Presidency (DG PRES) organises plenary sittings and for follow-up activities including protocol, mail, register, archives and security. The Directorate-General for External Policies (DG EXPO) deals with assisting the work of Parliament’s delegations, committees and their chairmen as well as coordinating relations and cooperation with the other institutions, national parliaments and foreign bodies. It also forms half of the co-secretariat of the ACP-EU Joint Parliamentary Assembly, the Euro-Mediterranean Parliamentary Assembly, the Eurolat and the European Eastern neighbours parliamentary assembly secretariat. The DG organises both delegation visits to non EU states and visits to the parliament by external state delegations. The DG also supplies expert information and research to the members and committees on topics relating to external countries. This is the task of the Policy Department who produce studies, upon request, on topics for the members. These studies, being produced by or for the European Parliament, are published on the Europarl website. The European Parliamentary Research Service (DG EPRS) is the European Parliament's in-house research department and think tank. Its mission is to assist Members of the European Parliament in their parliamentary work by providing them with independent, objective and authoritative analysis of, and research on, policy issues relating to the European Union. It is also designed to increase Members' and EP committees' capacity to scrutinise and oversee the European Commission and other EU executive bodies. The Directorate-General for Communication (DG COMM) deals with public information and media. Its staff includes the spokesperson of the Parliament (currently Jaume Duch Guillot), the press service and a network of public information offices across member states. It also manages the Europarl website. The Directorate-General for Personnel (DG PERS) deals with the human resources of the other DGs, including giving staff access to vocational training. "Relocation boxes" of the European Parliament, called "cantines", are ready to be transported from Brussels to Strasbourg where a plenary session will take place. Each month, the EP moves back and forth to meet the EU obligation to hold meetings also in France. 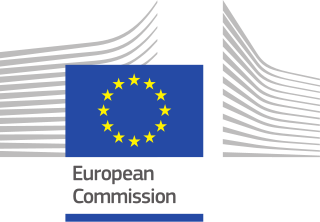 The Directorate-General for Infrastructure and Logistics (DG INLO) manages the buildings of the European Parliament (spread over Strasbourg, Brussels and Luxembourg) and its member-state offices and equipment. The Directorate-General for Translation (DG TRAD) is responsible for written translation of the Parliament's documents. The Directorate-General for Interpretation and Conferences (DG INTE) manages meeting rooms and interpretation for all meetings organised by the Institution. The Directorate-General for Finance (DG FINS) deals with the Parliaments budgetary and financial affairs. Preparing and checking the budget and monitoring its subsequent implementation. It is also responsible for official accounting and treasury operations as well as MEPs' finances. The DG Innovation and Technological Support (DG ITEC) consists of The Directorate for Information Technologies (DIT), the central ITC support and computing and network centre and Directorate for Publishing and Distribution which deals with the publication of parliamentary material such as working documents and the official journal. The Directorate-General for Security (DG SAFE) works to facilitate Parliament activities, while guaranteeing sufficient protection to people, assets and information and consists of Directorate A: Proximity and Assistance Security and Safety (PASS), Directorate B: Fire, First aid and Prevention and Directorate C: Strategy and Resources (description added by Andreas). ^ "Parliament: Secretariat". Europarl.europa.eu. Retrieved 2014-01-17. ^ "Directorate-General for Communication". Europarl.europa.eu. Retrieved 2014-01-17. ^ "Secretariat". Europarl.europa.eu. Retrieved 2014-01-17. ^ "Directorate-General for the Presidency". Europarl.europa.eu. Retrieved 2017-08-24. ^ "Directorate-General for Parliamentary Research Services". Europarl.europa.eu. Retrieved 2017-08-24. ^ "Directorate-General for Communication". Europarl.europa.eu. Retrieved 2017-08-24. ^ "Directorate-General for Personnel". Europarl.europa.eu. Retrieved 2017-08-24. ^ "Directorate-General for Infrastructure and Logistics". Europarl.europa.eu. Retrieved 2017-08-24. ^ "Directorate-General for Translation". Europarl.europa.eu. Retrieved 2017-08-24. ^ "Directorate-General for Finance". Europarl.europa.eu. Retrieved 2017-08-24. ^ "Directorate-General for Security". Europarl.europa.eu. Retrieved 2017-08-24. Subcommittee on Security and Defence Minutes Meeting of 6 March 2008 Page 5, List of DGs. 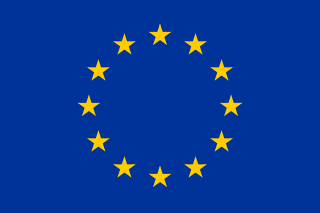 The European People's Party group is the political group in the European Parliament consisting of deputies (MEPs) from the member parties of the European People's Party (EPP), other unaffiliated national parties and independent deputies. In this respect, there is a distinction between the European People's Party itself and the EPP Group in the European Parliament, which is not limited to deputies that belong to EPP's member parties. The EPP mostly comprises politicians of Christian democratic, conservative and liberal-conservative orientation. Daniel Caspary is a German politician and member of the European Parliament (MEP) since 2004. He is a member of the Christian Democratic Union (CDU), part of the European People's Party (EPP). Caspary was elected chairman of the German CDU/CSU-delegation in the European Parliament in July 2017. He has been deputy-chairman of the Christian Democratic Union in his home-state of Baden-Württemberg since September 2017. The non-governmental organization VoteWatch named Caspary the second-most influential MEP in EU trade policy in November 2016. In March 2017, Politico ranked Caspary as 25th most influential MEP out of all 751 members of the European Parliament. Daciana Octavia Sârbu is a Romanian politician, legal counsellor, and Member of the European Parliament. Jeppe Sebastian Kofod is a Danish politician and Member of the European Parliament (MEP) from Denmark. 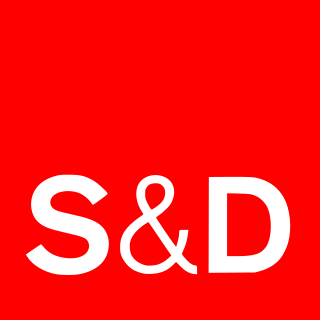 He is a member of the Social Democrats, part of the Party of European Socialists. He is currently leader of the Social Democrat Group in the European Parliament. Indrek Tarand is an Estonian politician and Member of the European Parliament (MEP) from Estonia. He is an Independent politician, but a member of the European Green Party. Bodil Valero is a Swedish politician and Member of the European Parliament (MEP) from Sweden. She is a member of the Green Party, part of the European Green Party. Valero serves as the green coordinator in the Security and Defence Committee (SEDE). Iskra Mihaylova, is a Bulgarian politician and Member of the European Parliament (MEP) from Bulgaria. She has been a Member of the European Parliament since July 2014. She is a member of the Movement for Rights and Freedoms, part of the Alliance of Liberals and Democrats for Europe Party. She is the current chair of the European Parliament Committee on Regional Development.